Captain Tilmann Gabriel and Dr Ivan Sikora, Senior Lecturers in Aviation Management in the Department of Mechanical Engineering & Aeronautics, speak of the immediate need for drone regulations. The thing about unmanned aerial vehicles, or drones as they’re commonly known, is that they’re very useful. They’ve been put to use for inspecting infrastructure, firefighting, monitoring in disaster areas or for environmental purposes, for border control, and of course their military use has been clearly demonstrated. 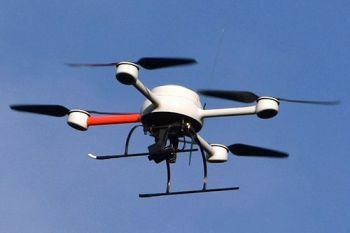 The problem is that, as a recent Freedom of Information request has shown, drones have been put to all sorts of other unofficial uses, from transporting drugs into prisons or using cameras to voyeuristically spy on neighbours, in some cases leading to landowners responding with shotguns and rifles. Clearly, developing and enforcing regulations that ensure drone use respects others’ safety and privacy is proving difficult. A report from researchers at the University of Birmingham in 2014 warned that the use of drones in the UK would rise over the next 20 years, raising “significant safety, security, and privacy concerns”. The number of drones in France rose by 350% in 2014, for example. Sales of drones are booming in the UK today, available for as little £30, and we need the regulations in place to deal with the sort of increase that has been seen in France. Recreational drones, relatively easy to fly thanks to the stability of their four rotors, range from tiny toys to more advanced versions fitted with high definition video cameras used by the police and the media. Authorities have warned that the rising use of drones will lead to more prosecutions of those that do not stick to the rules. 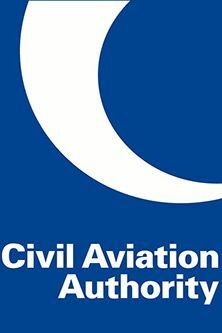 For example the UK’s Civil Aviation Authority issued a warning recently after seven incidents where drones had flown near planes at different British airports in less than a year. But the use of drones by civilians will undoubtedly be met with resistance. The potential danger of irresponsible drone use around busy air traffic is real. Imagine yourself out jogging or riding a bicycle when a fly or bee strikes your face, or even your eye, even leading you to stumble or fall. Something similar happens when a bird hits an aircraft, a phenomenon known as a birdstrike, which can take out an engine. The effect would be similar were a drone to hit an aircraft, although drones vary from those the size of a tiny bird, to large military drones the size of a small aircraft. Of course, taking down an aircraft filled with passengers is a bigger deal than a jogger knocked off their feet by a bee. While aircraft engines are tested against birdstrikes, there is no data yet on a turbojet engine’s resistance to ingesting a 4-5kg metal and plastic drone. It could destroy the engine, damage the cockpit windshield, endangering the crew and flight, or simply ricochet from the fuselage. Legislation is needed to at least make drones identifiable – air traffic control authorities have called for drones to be registered so that misbehaving drone pilots can be banned. However, the rules for operating drones in the UK are clear. It is illegal to fly a drone over a built-up area or within 150ft from other people, vehicles or buildings, and they are banned from any fly zones around airports. In Europe, no-drone zones, software using GPS location trackers to prevent drone flight within sensitive areas and compulsory drone registers are among proposals from aviation experts and the European Union to ensure they don’t cause dangerous run-ins with passenger aircraft. Many cities already have no-fly areas for drones, but that has not stopped people – even over the White House. Sense-and-avoidance technology, which would detect and avoid potential mid-air collisions, might also help. The concerns of the aviation industry focus on smaller drones, operated like model planes and flown for recreation, because their users are generally unfamiliar with the rules of the air. Education is needed in the first instance, before talk of enforcement and punishment. Enthusiasts operating drones have to understand that with use comes responsibility. The Federal Aviation Authority in the US is among those in the industry that have produced educational materials and spread them through social media in an attempt to prevent accidents. There’s no doubt that drones have been developed as military weapons; there seems hardly a day where someone, somewhere in the world is not killed by a drone strike. But many modern inventions in the civilian world came from the military or spaceflight industries – not least the internet, for example – and much of our transport and communications infrastructure would be far from the level of technology we currently enjoy without the funding and demands of military research. However, the civilian use of such technology has to be carefully guarded, with allowable uses for drones yet to be established, and pilot and airspace regulations yet to be enacted. The anonymity and ease with which drones can be used as a tool of execution could lead to greater numbers of deaths by miscommunication – we need clear answers to these problems from regulators, and we need them soon. The Federal Aviation Administration (FAA) is the agency of the United States Department of Transportation responsible for the regulation and oversight of civil aviation within the U.S., as well as operation and development of the National Airspace System. Its primary mission is to ensure safety of civil aviation.